Care to join the rat race and turn your iDevice into a hamster wheel? 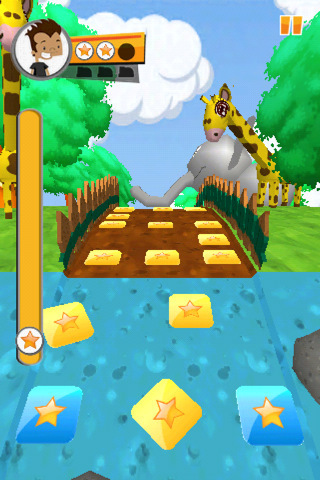 Download Finger Shoes and tap away on a predetermined track as the graphics whisk by. That’s pretty much all there is to Finger Shoes, but this is one time when simplicity isn’t necessarily an asset. 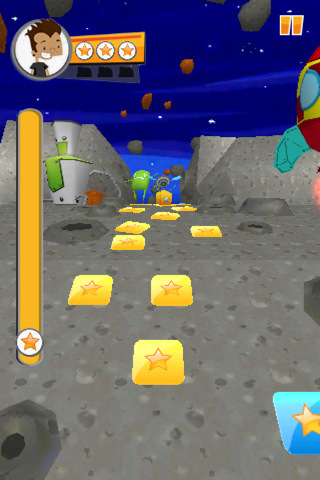 Finger Shoes starts at the beginning of a map featuring about eight levels. 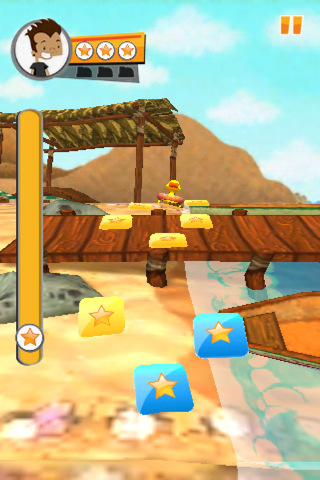 The first level, School, teaches players how to tap on starred squares as a landscape rolls by. The point of the game is to tap all the stars before they disappear in your path. If you miss three stars you die and have to restart the level, but if you make it to the end then you advance to the next level. The only other twist is the fact that three smoking tennis shoes are hidden in every level. 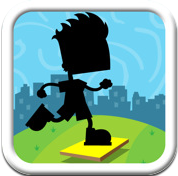 Grab them with a tap as you pass by and each shoe feels like a trophy at the end of the level. Although the graphics themselves showcase some interesting scenes (e.g. 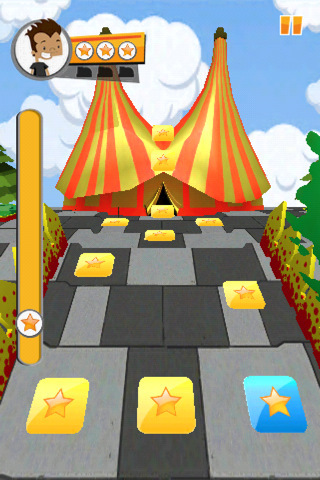 a zoo and a revolving circus type scene) the game doesn’t punish missed taps. As a result, you can pretty much get away with tapping crazily to beat the levels. The result is a game that’s beatable in two short sittings without a lot of replay value. If Finger Shoes actually burned calories I’d justify the regimen, but unfortunately this Chillingo title missed the mark. Bottom Line: The 3D simulated cartoonish graphics and scenes of Finger Shoes might appeal to tap happy children, but on the whole this title isn’t much more fun than a finger treadmill.